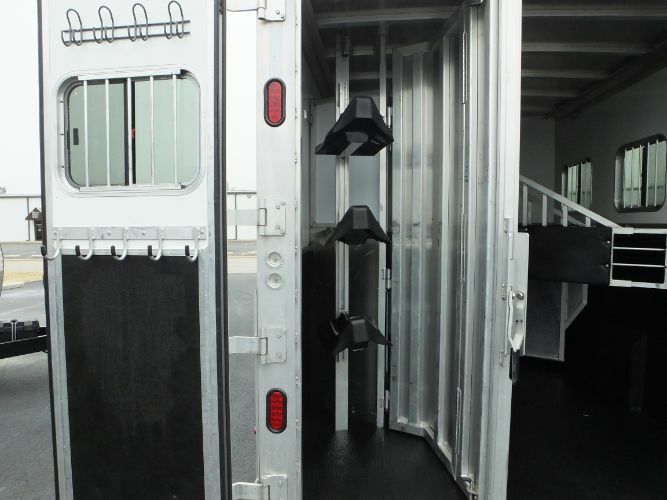 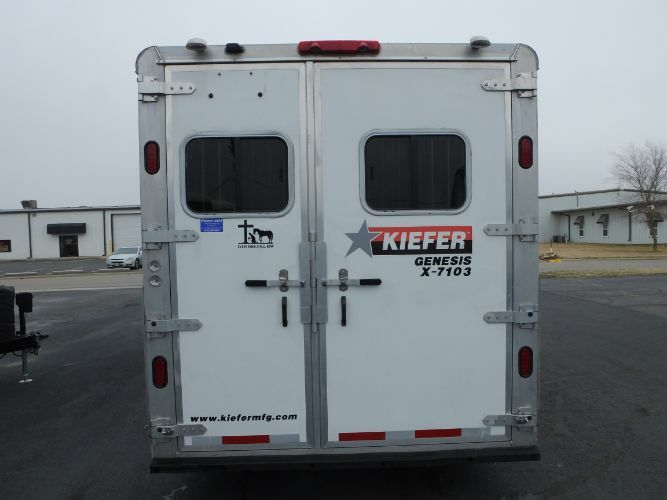 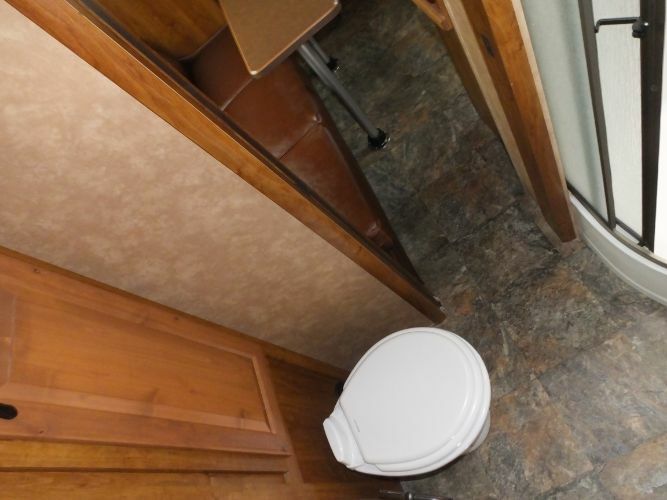 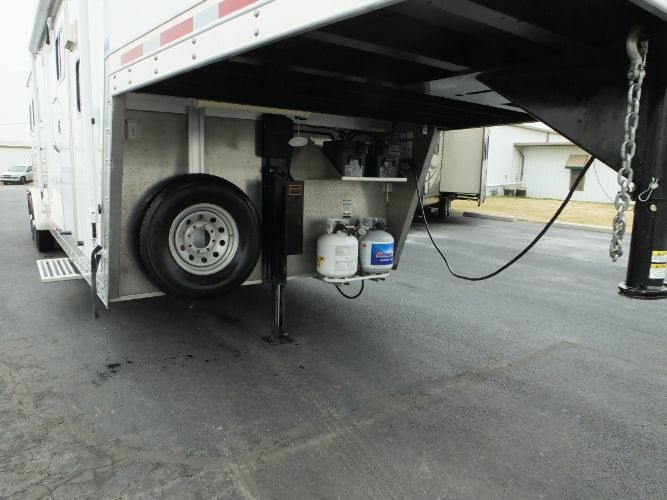 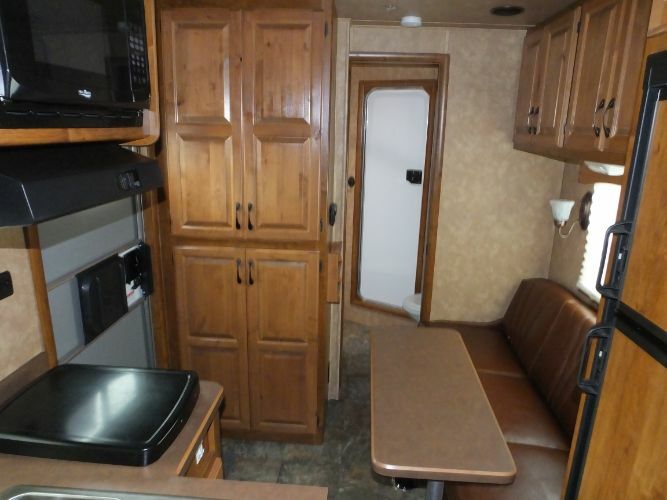 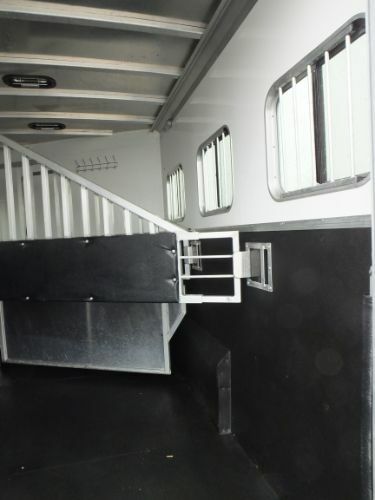 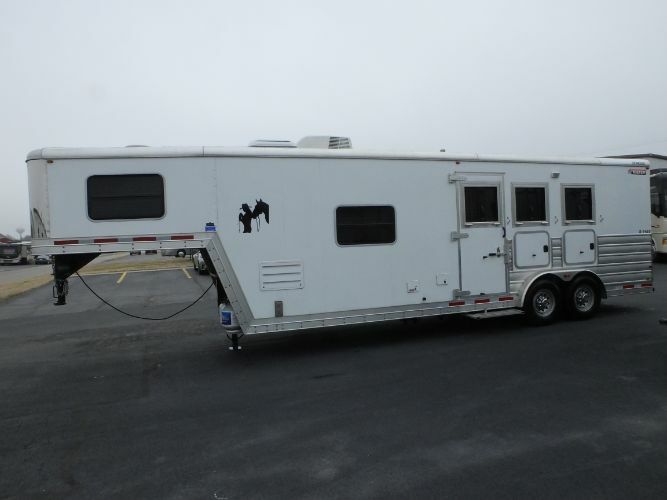 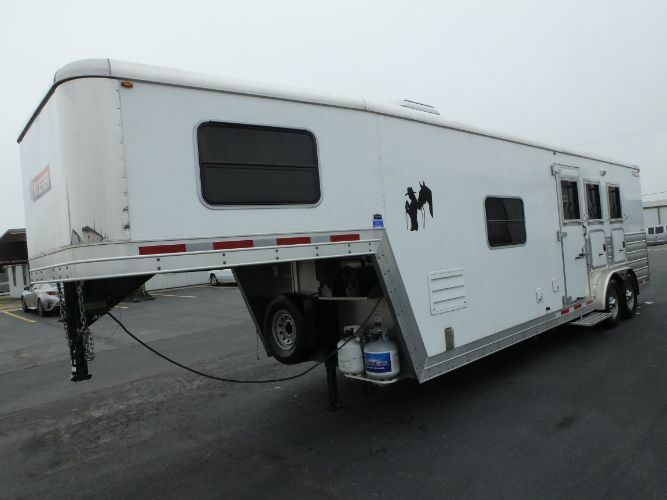 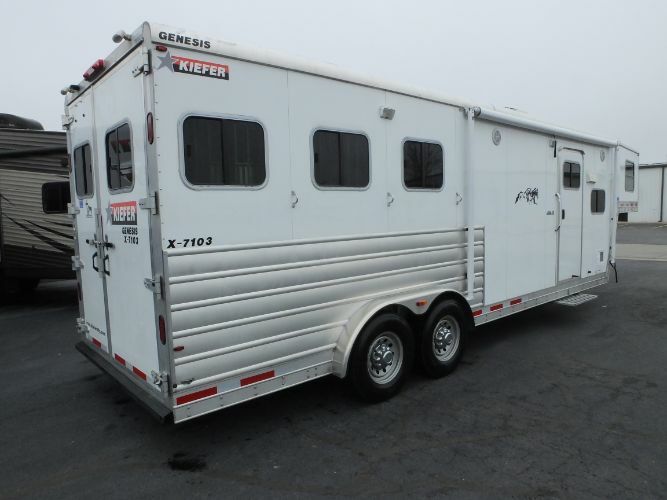 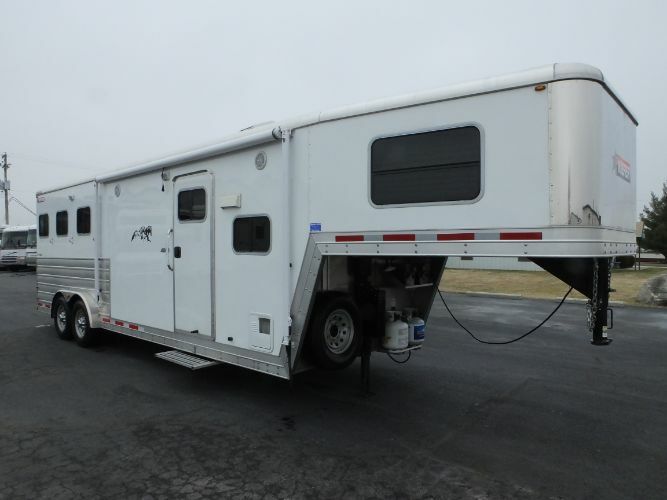 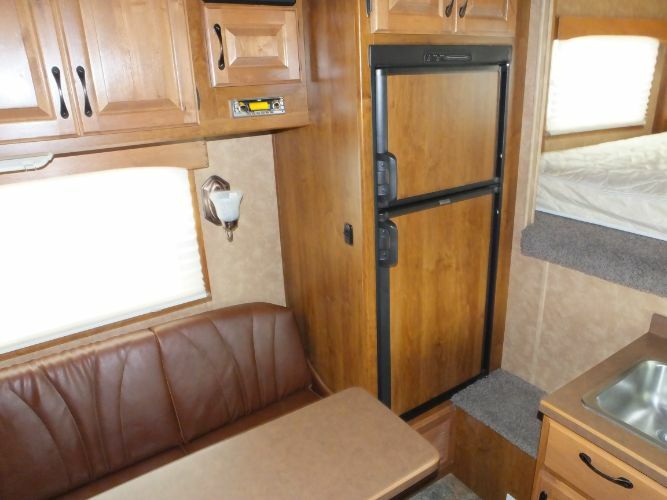 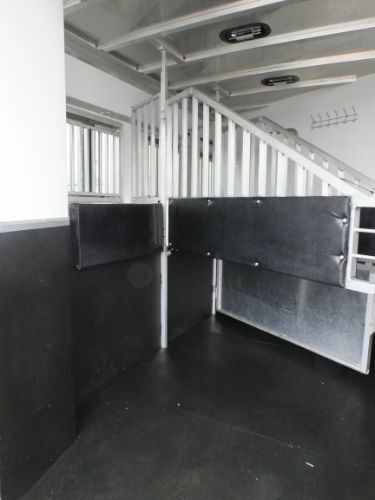 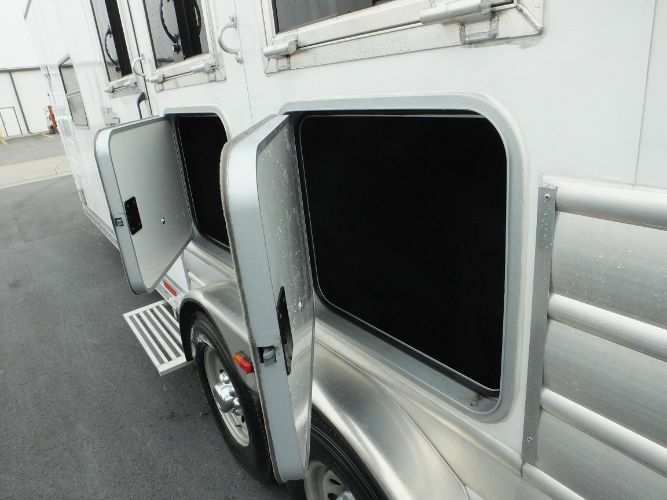 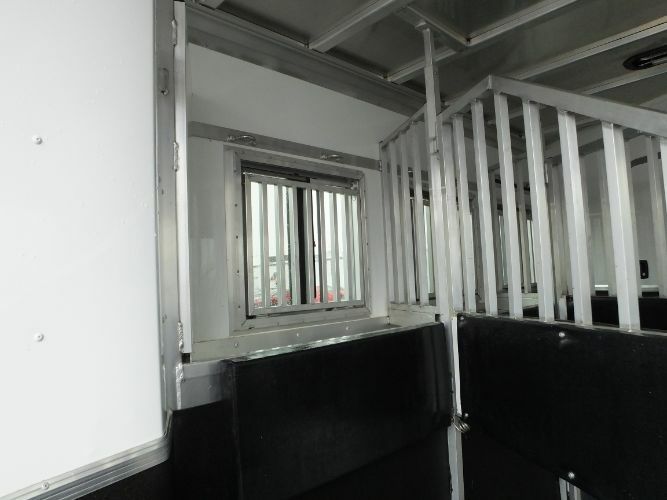 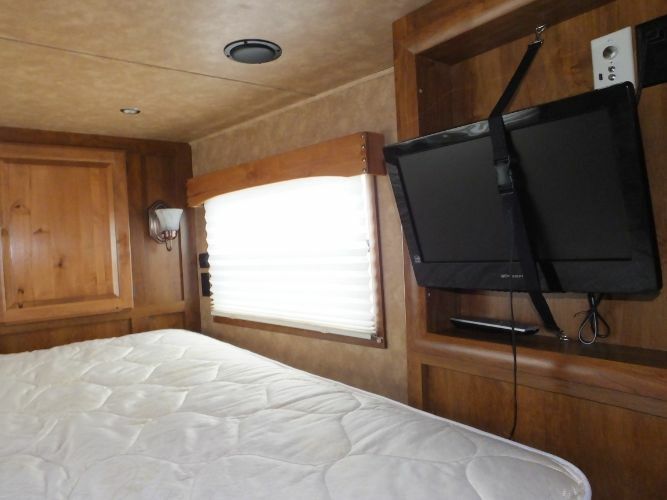 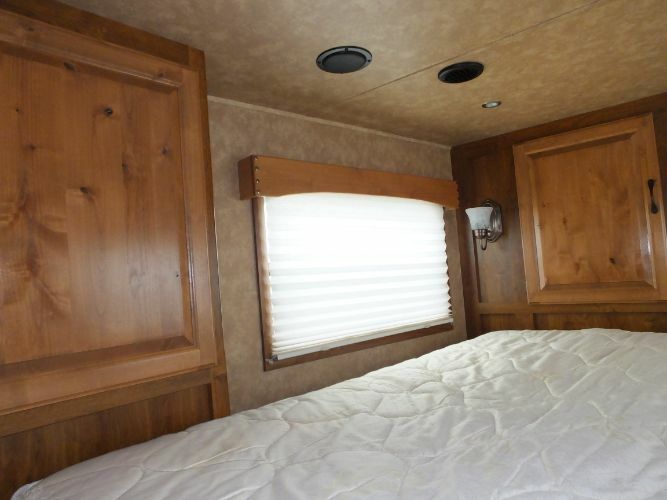 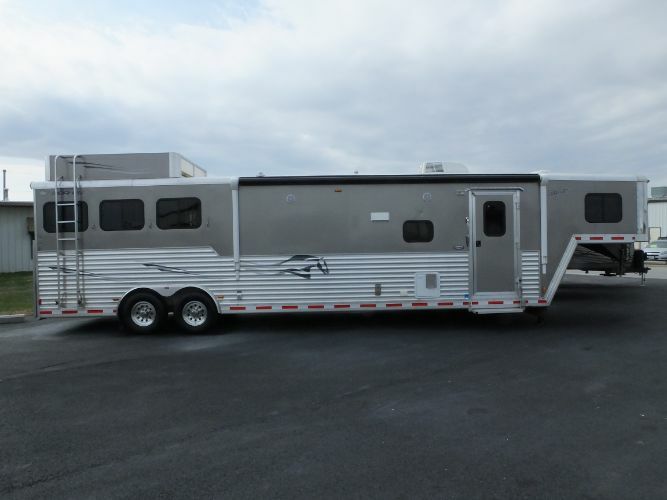 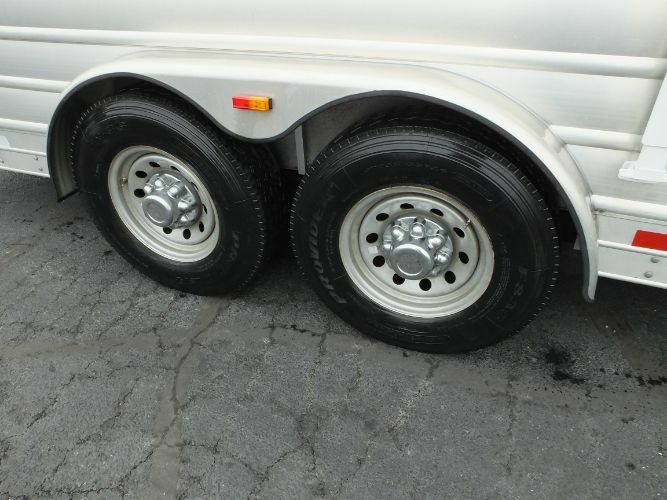 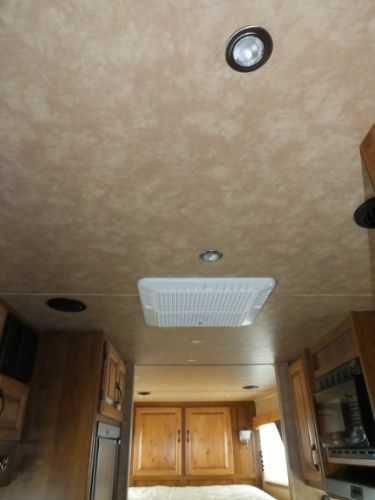 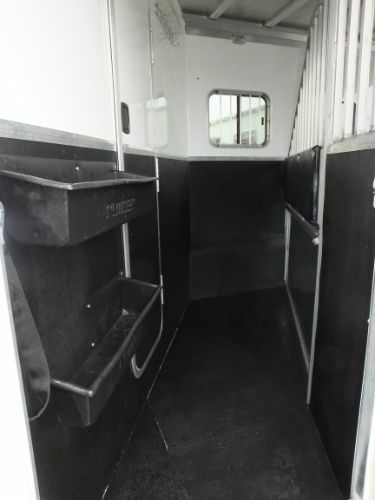 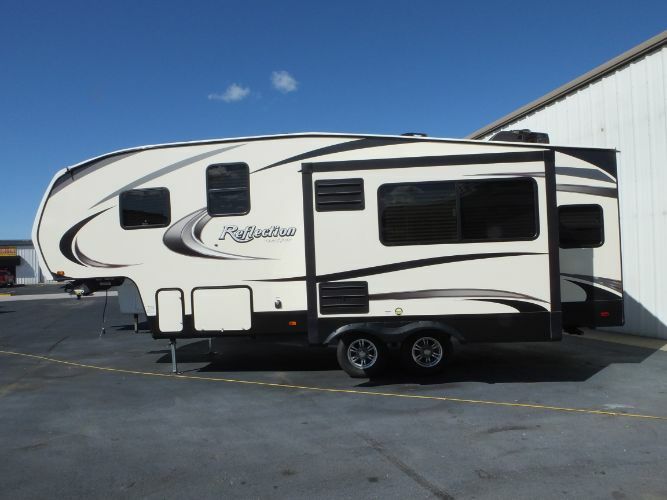 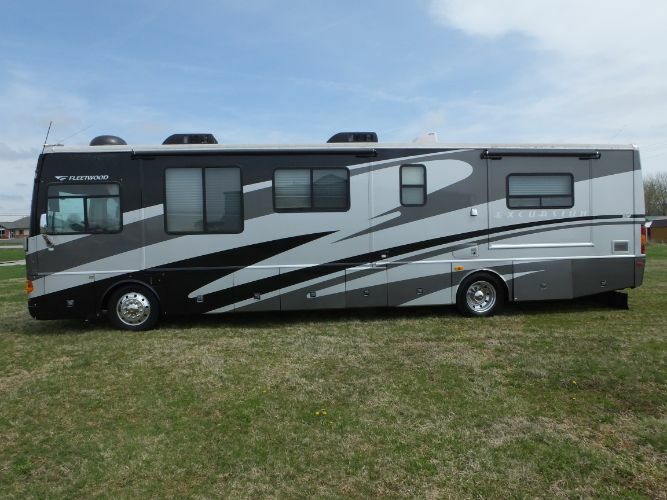 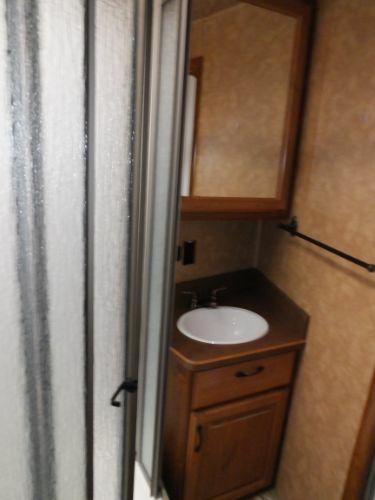 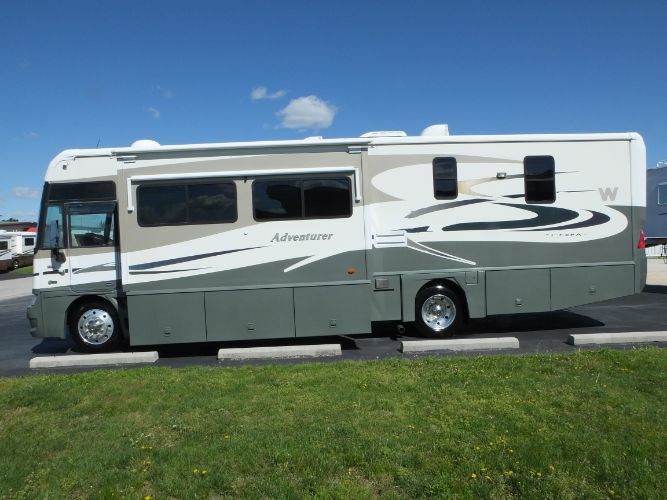 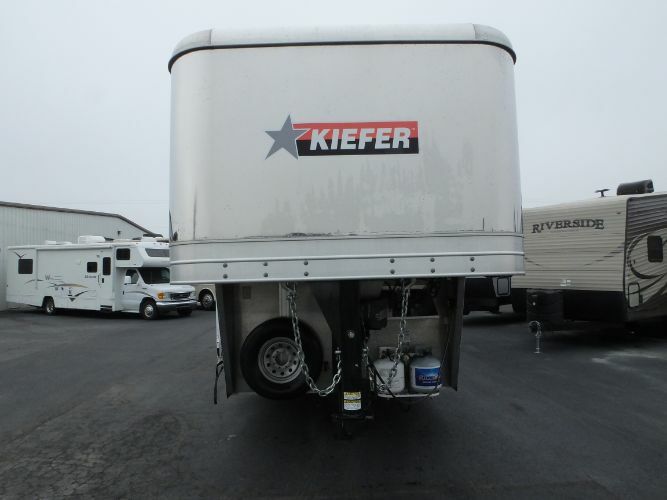 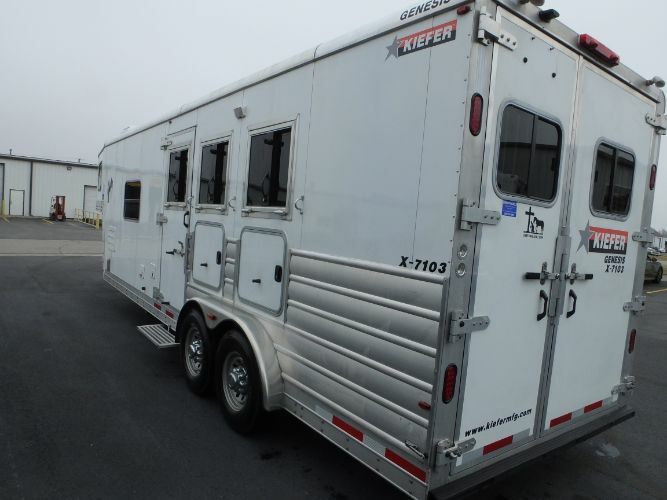 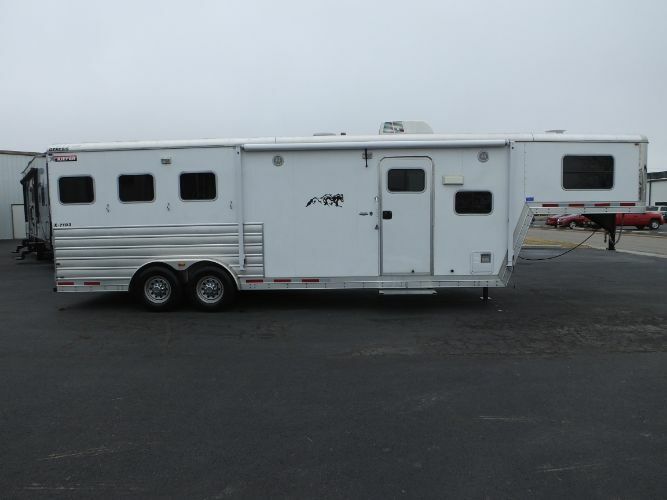 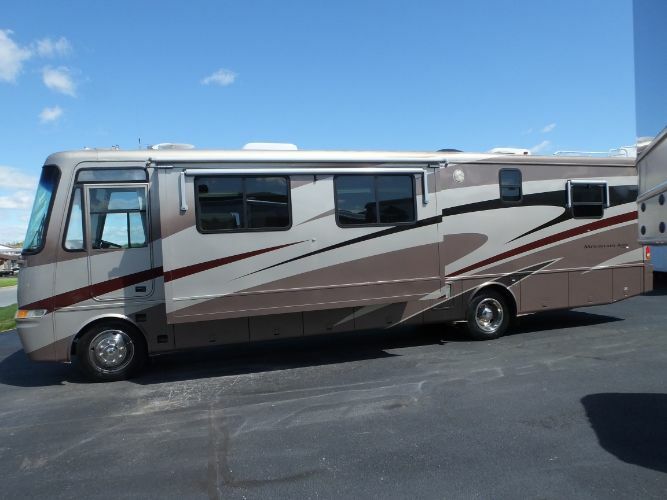 2012 Kiefer Genesis 7103 3 Horse slant load 7’6” wide 10’ short wall 33’ long total, 24' on the floor. 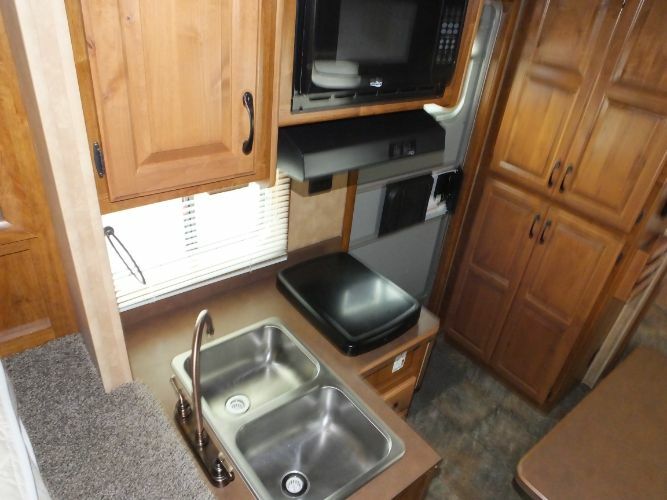 Hydraulic jack Sofa sleeper w/pedestal table Double stainless steel sink Two burner stove w/flip up cover Built-in microwave 6.0 cu. 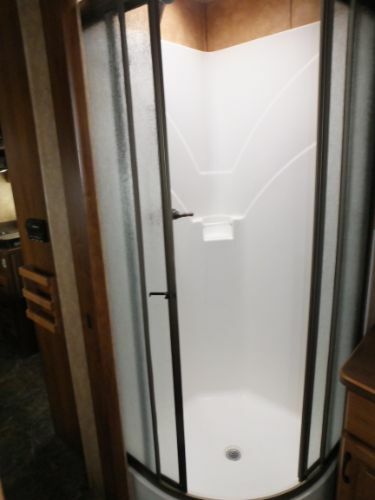 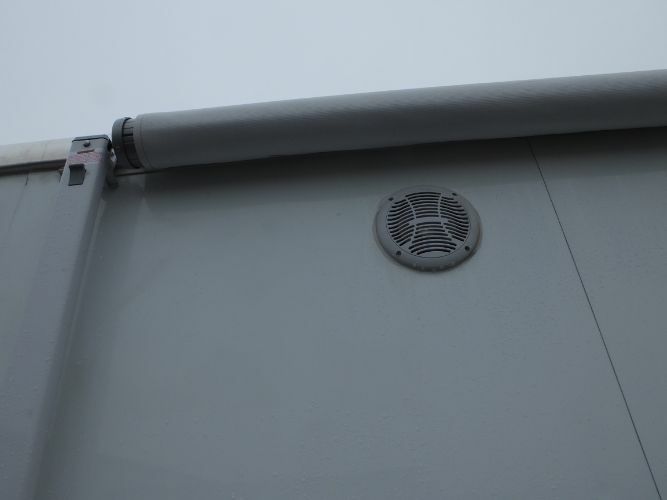 Ft. frig (2 way) Ducted A/C 13,500 BTU w/Heat Strip 16,000 BTU Furnace 6 gallon propane water heater 40 gallon fresh water tank 31 gallon grey & black tanks Flip up counter extension Power bath vent 19” TV w/built-in DVD player & remote CD/AM/FM radio w/indoor & outdoor speakers Recessed LED ceiling lights 17’ awning Lighted grab bar Porch light Recessed switch for Interior and Exterior loading lights Two side tack compartments Extra hooks and brush boxes in first stall Extra hooks in tack compartment Rubber stall matting Aluminum padded stall dividers Two way pop up vents in roof Exterior water spigot & outlet Drop down head windows w/bars Stud divider in first stall Mangers at 2nd & 3rd stalls. 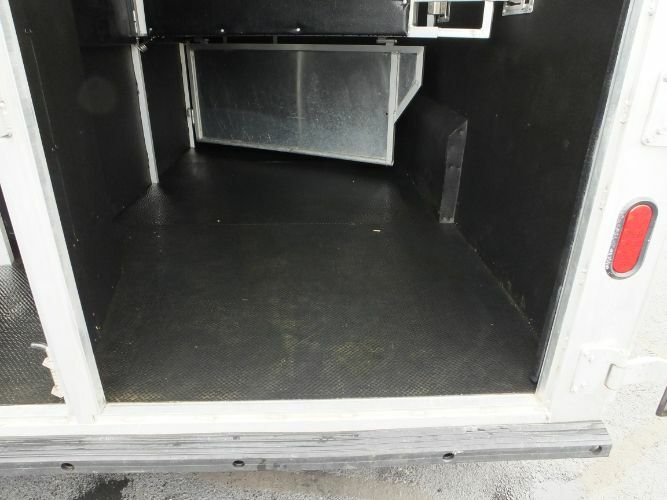 One owner, stored inside. 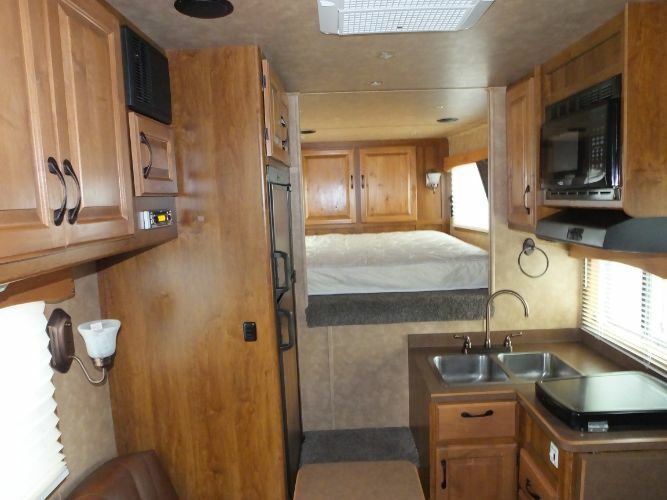 Super clean inside and out and everything works as it should.